The Fourth District Appellate Court of Illinois may have just made it substantially more difficult for employees to break their non-compete agreements - at least in some parts of the state. Justice Steigmann authored an opinion that built upon his special concurrence two years ago in Lifetec, Inc. v. Edwards, a case where he called into question the applicability of the so-called "legitimate business interest" test used by Illinois courts to analyze restrictive covenants. This time around, Steigmann succeeded in convincing his robed colleagues to abandon the test altogether, overturning a number of Fourth District cases in the process. The decision does nothing to alter the test in other districts, and each of those still uses the test which is widely believed to be employee friendly. By way of brief background, Illinois courts have essentially used a two-part analysis to determine whether a non-compete agreement is valid. First, it must be reasonable in scope. Second, it must protect a legitimate business interest. The second part of the test demanded an employer show that it had an interest in misuse of confidential information or near-permanent customer relationships acquired through the employee's association with the employer. 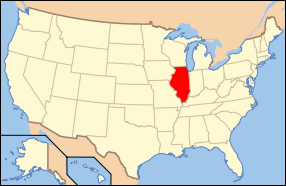 This is not a marked departure from what other states require, though some would argue Illinois is fairly narrow in not recognizing other types of business interests, such as special training. However, Justice Steigmann could not find Illinois Supreme Court authority for part two of the test. By reviewing Supreme Court precedent, Steigmann is correct in that the Court never formally adopted the test which has been used for years by all five district appellate courts. He casually neglects to mention that in the past 60 years, the Court has taken on a grand total of six non-compete cases, and several of those looked at covenants outside the employment context. His analysis is not entirely accurate because his discussion also neglects to confront one of the Court's leading precedents, House of Vision v. Hiyane. That case was authored by Justice Schaefer, probably Illinois' most famous jurist. In House of Vision, the Court specifically discussed at length the interest of a business in protecting customer relationships. It even distinguished prior precedents (also cited by Justice Steigmann) where the Court noted that in a sale-of-business non-compete, the legitimate interest to be protected concerned intangible goodwill. Covenants ancillary to a sale of a business are always easier to uphold, and it may well be true that a legitimate business interest is virtually presumed in such circumstances. But it seems illogical that the Court would discuss a legitimate business interest in connection with a sale-of-business covenant, and then deem the test inapplicable to more problematic employment covenants. Steigmann has assured us the Court will have to take an employment non-compete case soon to resolve the tension between the Fourth District and the rest of the state's appellate courts. Justice Steigmann's analysis defaults to the reasonablenes test he cites from what he considers binding precedent: an employer must show that the covenant is no greater than is necessary for its protection. As applied to the facts involving Sunbelt Rentals and Neil Ehlers, the court concluded the 50-mile non-compete was reasonable even though the employment agreement also contained a well-drafted client non-solicitation clause. It's hard to see, though, how a court can determine whether a covenant is "no greater than is necessary for its protection" without analyzing what business interest it seeks to protect in the first place. The legitimate business interest test fills that vacuum and allows a court to fashion an appropriate restraint, or strike one entirely if the employer can't articulate the need for a restriction.